Today's discussion is sponsored by OMG. I Can Meditate! Inc. Okay guys, this self-proclaimed Chatty-Cathy has a secret to share: I'm learning to embrace silence and I'm enjoying every single second of it. I always thought that I was the type that just couldn't enjoy silence, I even have been caught saying that I could never quiet my mind enough to meditate. 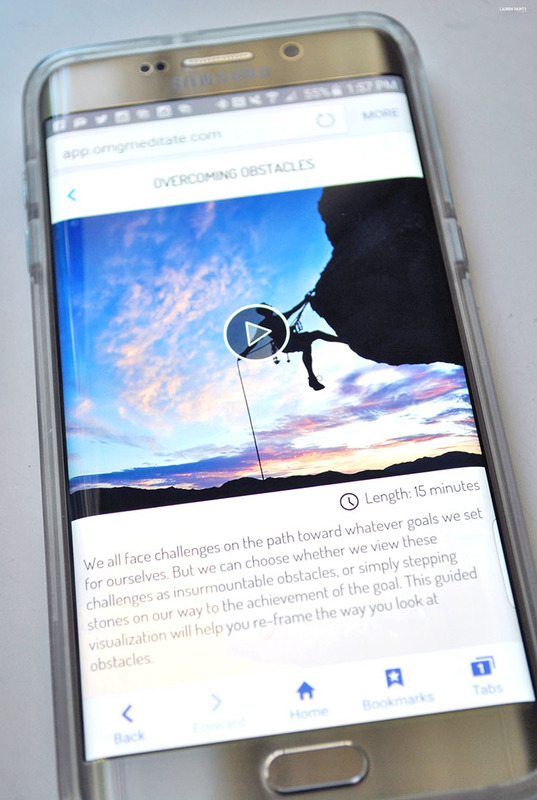 But I was wrong, even with my racing thoughts and busy schedule, with this new meditation app I realized "OMG. I can Meditate! ", conveniently enough OMG. I Can Meditate! is also the name of the app! 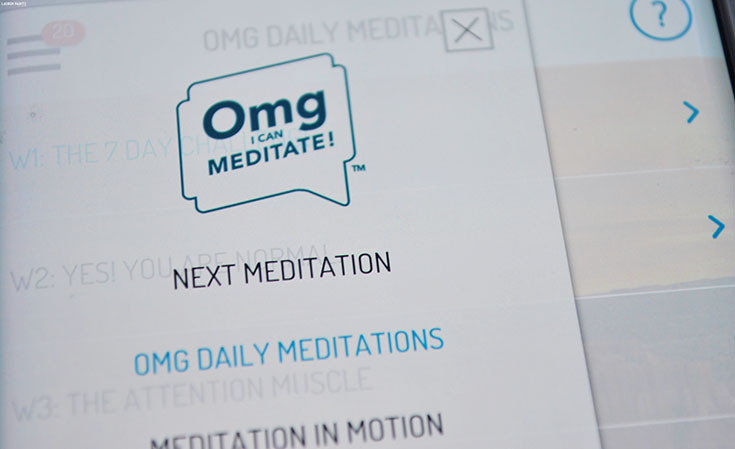 Meditation guided by OMG. I Can Meditate! is truly a life transforming practice. Whether I'm trying to settle my nerves about an upcoming event or just wanting to unwind after a stressful day, I love being able to relax my body and my mind so simply. 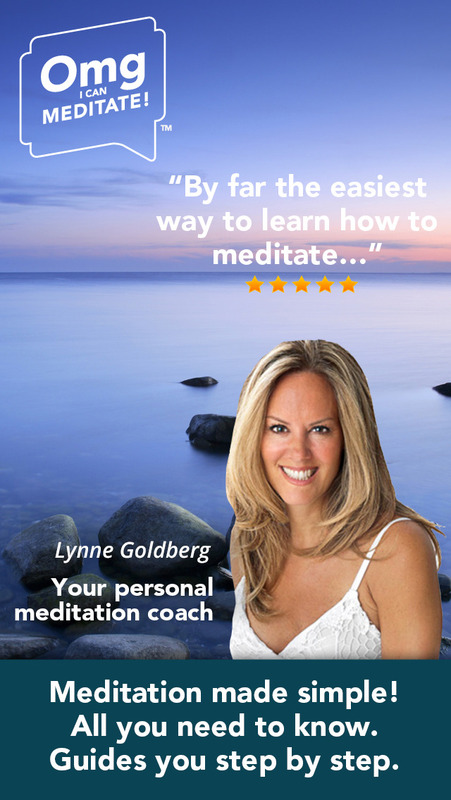 Learning mindfulness and meditation techniques has never been easier and with Lynne Goldberg as my daily meditation coach, it's almost like I'm attending the most epic version of a self-help class available on the market. No worries, though - This isn't exactly a class, there won't be homework. It's just 10 minutes (or more, it's your choice which guided meditation you practice) of meditation a day and that short amount of time will change your life. Instead of grabbing a latte at the coffee place down the street, take that extra 10 minutes out of your day today to meditate with Lynne from OMG. I can Meditate, you won't regret it. The thing I love about Lynne and OMG I can Meditate is that she isn't one of those wishy-washy weirdos, but a real person that makes you feel comfortable while learning how to let go. Her voice is soothing with just the right amount of pep to draw you in and keep you focused throughout your meditation. Anyone can learn to meditate and with so many different guided meditations, there's certainly a program made for you! Parenting can be easier, opening your heart to new situations can be calming, and so many other possibilities. I also love that with meditation I have learned to have more patience while also learning to be kinder and more aware of those around me. I'm learning to let go of things I can't control and I've noticed a huge difference in the amount of anxiety I experience.I guess you could say this app has helped me learn to overcome obstacles, in more than one way. If you're a regular reader of the blog, you may have read recently that we're trying to conceive. 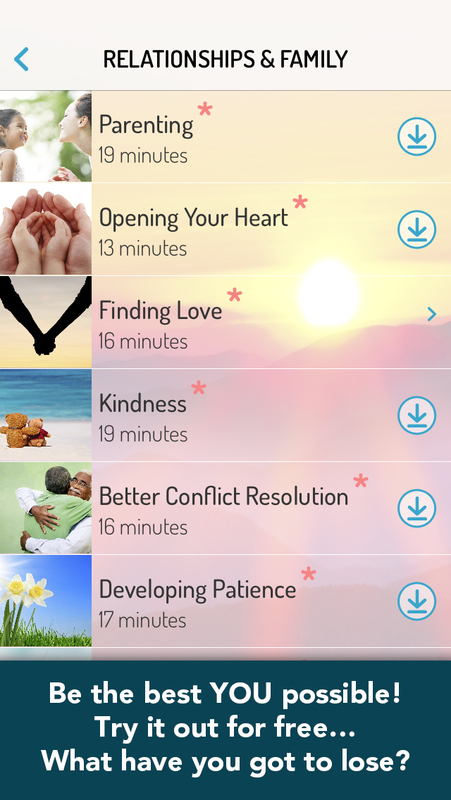 I'm doing everything I can to prepare my mind and body for a baby and I love using this app to de-stress. Allowing myself to really get "in touch" with my body has been an amazing journey and I'm so excited to see how daily meditation affects me during this process, whether it helps with my hormone levels or not, and I absolutely can't wait to experience meditation once we finally conceive! Finding inner peace and learning to love my body, no matter what, has been an amazing benefit of this app while going through this time in our lives. It's pretty amazing how 10 minutes of time has changed how I function through out the day; this app has changed how I interact with others to how my body is coping with stress. I even use OMG. I Can Meditate to help me fall asleep and to help wake me up, every single day. Now I know what you're thinking? How much is this going to cost me? The coolest part about all of this positive change in my life is that it was free and that you can experience the change in your life for free as well. 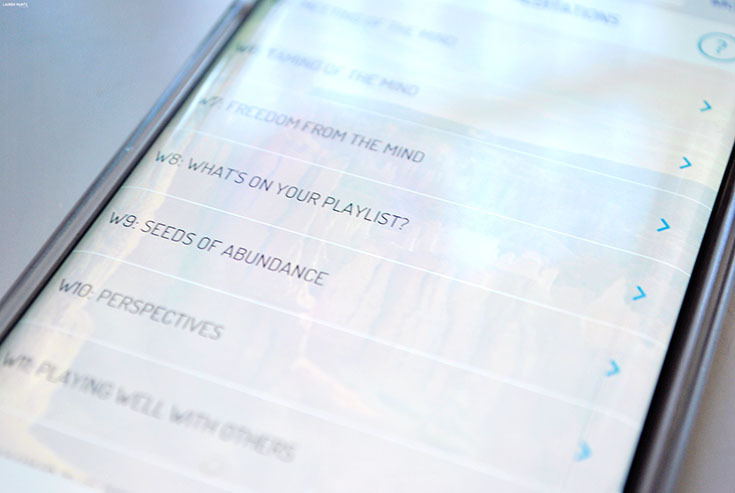 Plus, If you're feeling fancy, you can always upgrade to a premium membership plan to unlock additional meditations and some amazing tools, all of this starting monthly at $12.95 and yearly at $89.95. So are you wanting to learn how to meditate to help calm your nerves? Seeking inner peace in this crazy world we live in? 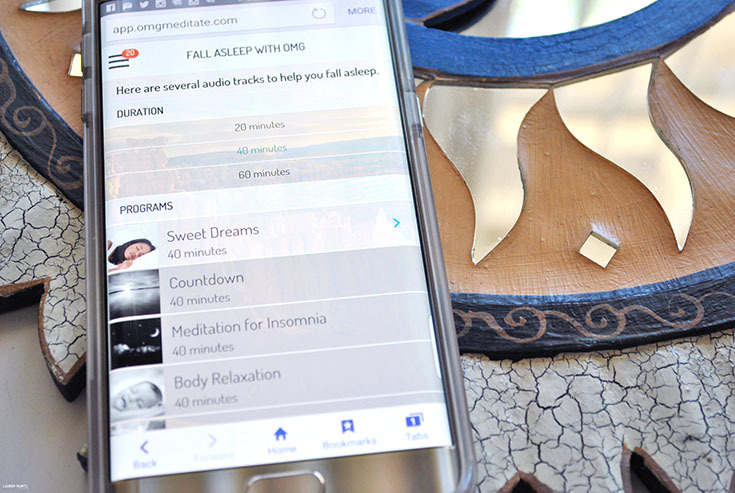 I highly recommend that you download the app and start your daily meditation program today, since it's free... you have nothing to lose and absolutely everything to gain! 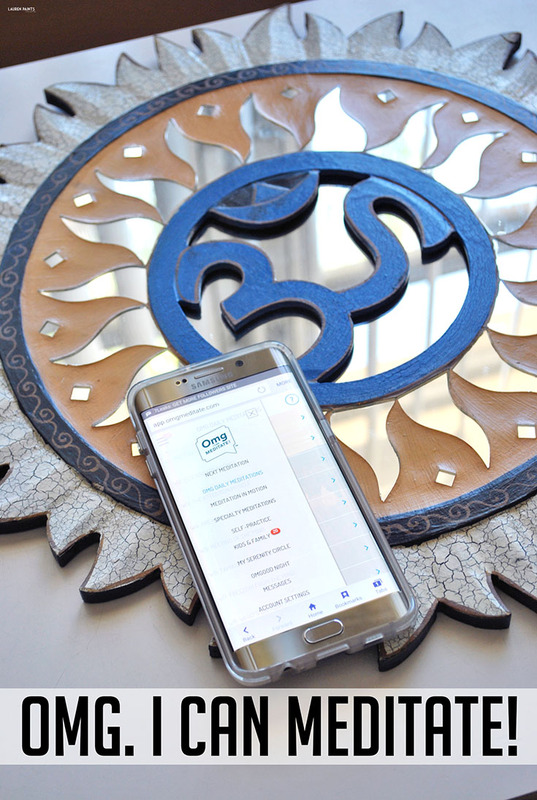 So go ahead, download the app, and make the time for a few minutes of pure, unadulterated meditation time today (and every day).